New York, New York (August 8, 2016) Dancehall Superstar Konshens is definitely one of dancehall most sought after acts and his schedule & show turn outs are clear reasons why. 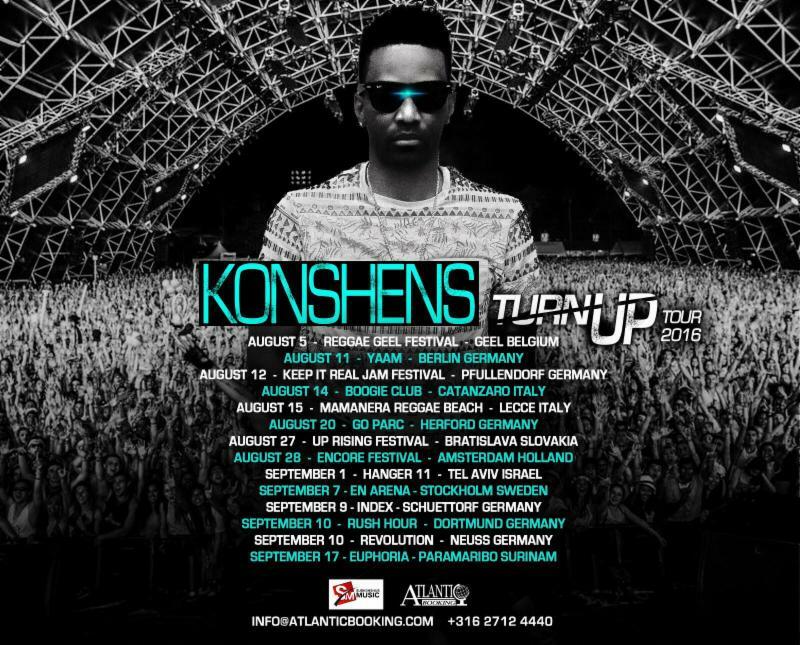 On July 28th, Konshens departed Jamaica to Freeport Bahamas, where he headlined two sold out shows. Immediately after his performances he jetted to New York where he co-headlined a free concert in Brooklyn. The concert is a part of the Martin Luther Kings Summer Concert series held annually & produced by VP Records. Also performing on this concert was reggae songstress Etana,. Performing with a band, Konshens connected immediately with the at-capacity crowd, but it was seven words, that caused the audience to erupt. “Wha this mek you feel like do”. These are the opening lyrics to Konshens hit single “Bruck Off Yuh Back”, the video has garnered over 11 million hits via YouTube and is one of the biggest dancehall songs to play throughout the Caribbean for their carnival season. “Oh My God, I loved every bit of Konshens performance, he had everyone singing from he entered the stage, but when he sang ‘Bruck Off Yuh Back’, I thought the entire park lost their minds” says Shaunille Lawrence of Queens, New York. After his energetic performance in Brooklyn, Konshen was off to begin his five – week European tour, which is a combination of club and festival dates. This past weekend, Konshens performed at Reggae Geel on their first night and returned for a surprise performance, with Tarrus Riley singing their hit single, ‘Good Girl Gone Bad’. A moving performance at Reggae Geel, Konshens had the over 20 thousand in attendance light up the park with their phones as he performed “Buss A Blank” remembering all those who have passed on. Off to Germany now, Konshens is set to release his video for his remake of Beenie Man – Gal Dem Sugar, which is now available on itunes.